We created a branding system and comprehensive suite of supporting materials for Cambridge Sound Management’s first consumer product, Nightingale. 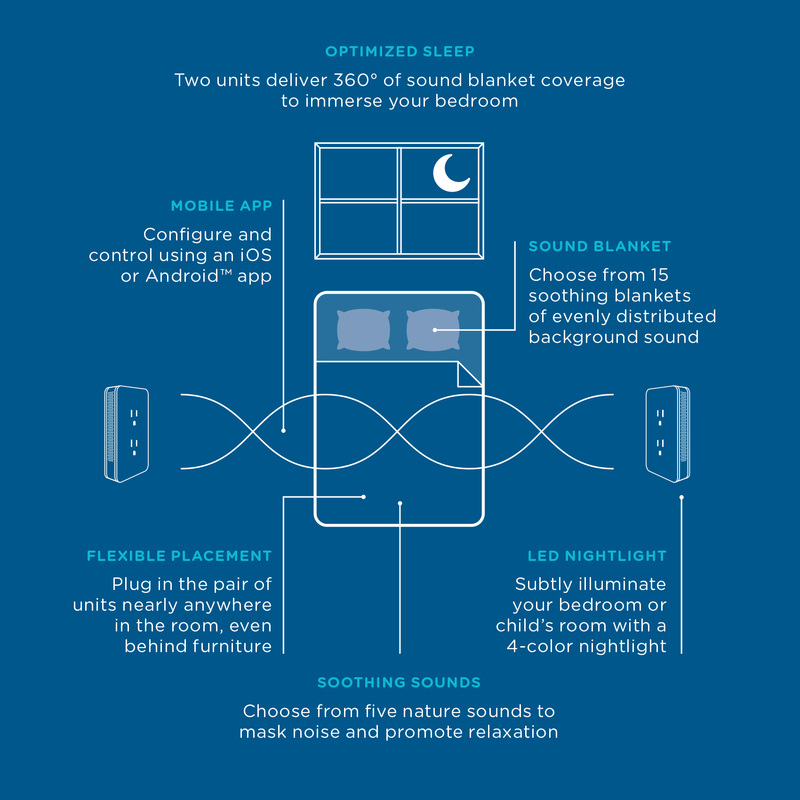 This innovative device is the first smart home sleep system on the market – and helps improve the lives of individuals who struggle to get (and stay) asleep at night. Nightingale masks common indoor and outdoor noises by using innovative technology that blankets your room with neutralizing sound. 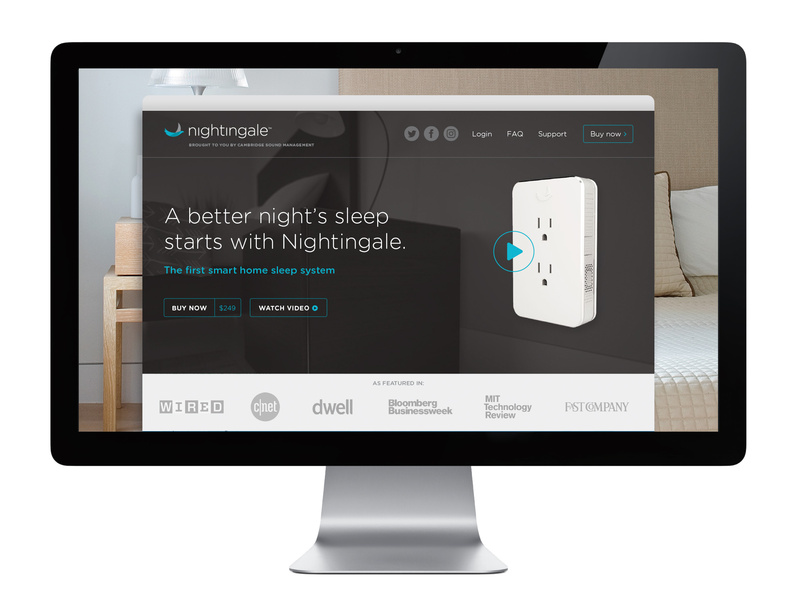 Our clean, modern and approachable branding solution positions Nightingale as a premium product and helps clearly define how the device works, why it works better, and why it’s so critical to have a good night’s sleep. Design deliverables and support included identity development, product packaging, icons, technical illustrations, trade show graphics, point-of-sale displays, print and web advertisements, website design, and assistance with the UX design for their iOS and Android mobile app.